National Democratic People's Party (PDP) President Uche Secondus has been confident that the court will overthrow President Muhsmmadu Buhari's victory. He therefore warned that no one would prevent the party from contesting the outcome of the 23 February presidential election. Secondus told journalists in Abuja on Friday that the party believed that justice would be done in court, "We will go to court. Nobody will stop us from going to court and bring out all the facts that both international observers and some people have not seen. "We will dig them up in court, and I believe justice will be done in court." For if we continue suppressing injustice and become sentimental, the country will continue to accumulate gunpowder that will one day explode. "So much injustice has been done in this country, and when we allow it and it continues to pile up, nobody knows what's going to happen." That's why we chose good citizens and law-abiding people and people who believe in the rule of law. " said Secondus. 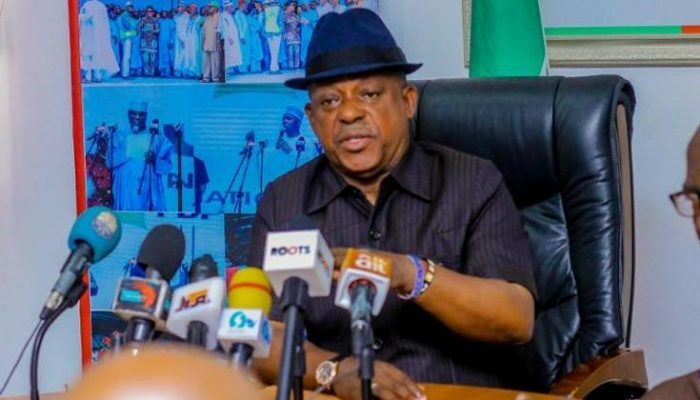 Secondus said to the meeting recently discussed with the National Peace Committee by the party and its presidential candidate Atiku Abubakar that the party would not be convicted because they were only called upon to voice their complaint. "There was no condition. At first we should not talk to them because we decided to go to court, but because of the people involved we said ok, let's just talk. "There was no condition. There was no request for any condition. "We have made it clear that there is no room for peace if the injustices are not addressed. Only if you deal with injustice can you now go for peace, "he said.